Tokyo Court Grants Bail To Former Nissan CEO Carlos Ghosn The executive could be freed from jail soon after a Tokyo court set his bail at nearly $9 million. Ghosn was arrested in November for alleged financial crimes, including understating his income. Then Chairman and CEO of Renault-Nissan-Mitsubishi Carlos Ghosn looks on during a visit of French President Emmanuel Macron at the Renault factory weeks before his November arrest. A court in Tokyo has granted bail to former Nissan CEO Carlos Ghosn after he spent nearly four months in jail awaiting trial on corruption charges. Ghosn's request was granted this time under a new defense team appointed last month. It also comes as his family drummed up international attention regarding what they call his "harsh treatment" in Japanese jail. Lawyers for the family said they will seek help from the United Nations Working Group on Arbitrary Detention. The court granted his lawyers' request for bail on the conditions that Ghosn remain in Japan and be prevented from tampering with evidence. 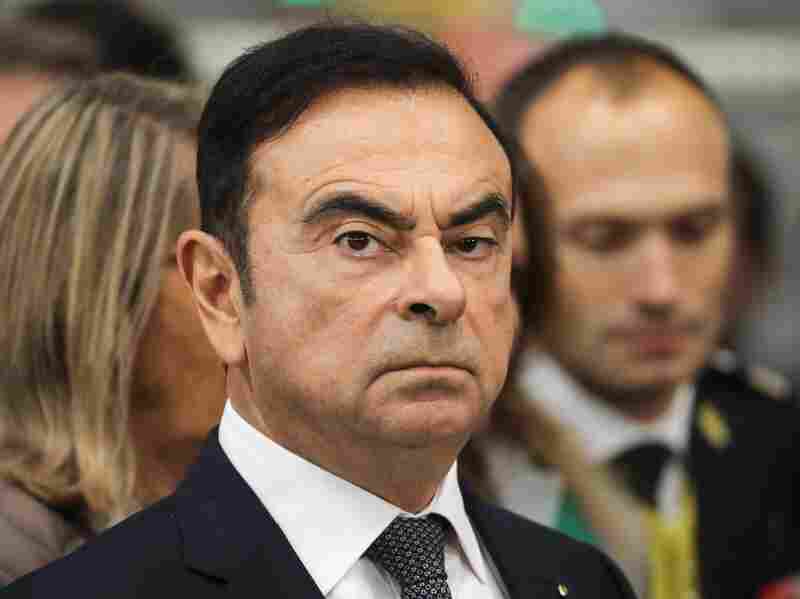 Ghosn denied the allegations against him in a written statement released Tuesday: "I am innocent and totally committed to vigorously defending myself in a fair trial against these meritless and unsubstantiated accusations." Ghosn once headed the alliance that includes Nissan, Mitsubishi, and France's Renault. NPR's Anthony Kuhn reports, "He claims he was ousted in a coup staged by Nissan executives who opposed closer ties with Renault."